Let’s be honest, moving to a new place is not to walk in the park. Starting a new job, learning your way around a new city, or wondering if everyone is looking at you like a tourist is A LOT to deal with when you first arrive somewhere new! However, finding the right place to live might be the most difficult task of all. No matter what your background is, your price range, or your expected time in Barcelona, ​​finding the perfect apartment can always be a menacing task. That is we at CeleBreak decided to give you a few tips about which websites are the most useful in order to simplify your search of finding an apartment in Barcelona. Love the idea of ​​a shared apartment in Barcelona but hate the idea of ​​not knowing who your roommates might be? What if he has pet snakes? Or does she enjoy blasting heavy metal all day and night? It’s hard to know exactly what you’re getting yourself into when looking for a shared apartment. As a result, voila is the perfect app for you. Flatfit is an app that connects you to people with spare rooms around the city and tells you the percentage of compatibility with your potential future roommate! It also allows you to contact the person before arriving in Barcelona so that you can get a feel for your new roommate before you arrived. 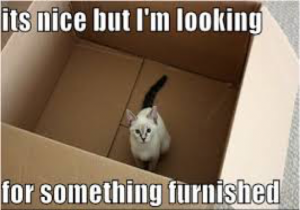 Flat-fit is an easy and safe way to make sure you are getting the living situation you ultimately desire! 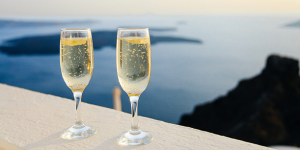 During a holiday vacation or a long stay we are offered a wide variety of choices. The more options we have, the more specific we can be about our wants and needs, thus ensuring satisfaction. That is why AB Apartment Barcelona is extremely helpful. This website allows you to customize your stay in Barcelona based on several factors such as capacity, amenities, location, and price! No matter how long you plan to stay, they have furnished apartments available ranging from daily rent to yearly rent, and even many for sale! (In case you accidentally fall in love with this city) And on top of that they offer a wide range of services through their concierge team, who will provide you with anything you need in order to guarantee the perfect stay. All in all, this website has got it going on and therefore is helpful in finding an apartment in Barcelona. For all of you students looking for an affordable, nice apartment in a good area in Barcelona, ​​Uniplaces is a great website to check out. As mentioned earlier, moving to a new country or city is hard and confusing, which is why simplicity and speed of Uniplaces is very useful. They offer instant booking on a wide range of affordable apartments across Barcelona, ​​as well as varying dates of availability. The listing prices also often have bills included, which, as a student, is something you probably do not want to think about on top of everything else going on! Quick, easy, and affordable are three very important words to almost every student, and those three words perfectly embody this website! Another very important characteristic in a smooth apartment search is how easily you can navigate the website to find what you want. Idealista is broken down into three simple categories: how do you want to pay (buy, rent, share), what type of space are you looking for, and the location in Spain. It is less specific to Barcelona, ​​but what is cool about this website is that they provide a map of Spain so you can choose the exact area you want to live in to the specific neighborhood! If you are looking for a simple apartment search in Barcelona, ​​Idealista is a great website to check out! So, let’s say you’re not just coming to Barcelona for a holiday visit. You are in it for the long-haul. You want to make sure you are making the right decision on where you live because it is going to be your new home! If this is the case, ShBarcelona is a great resource to check out. Their team has an extensive portfolio of flats, apartments, studios, and lofts located in some of the nicest spots in Barcelona. This company has almost 18 years of experience under their belt, which is why they are a very reliable resource when you are trying to find the perfect place for a long-term stay in Barcelona. 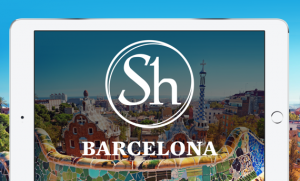 ShBarcelona allows you to be here for both a good time and a long time! For all those readers looking for the most luxurious lifestyle in Barcelona, ​​Fotocasa is great website to check out. Fotocasa does allow you to look for less expensive apartments; however, they offer very prominent range of luxury, expensive flats both for sale and for rent across the city of Barcelona. Fotocasa provides you with the latest and greatest apartments immediately as they become available, so you will find more and more options each day! The website also has a very cool blog about the newest apartment and design trends so you can live your luxurious life in style! Looking for the perfect get away for vacation this year? What better spot than Barcelona to kick your feet back and relax? All while in the perfect vacation rental of course! 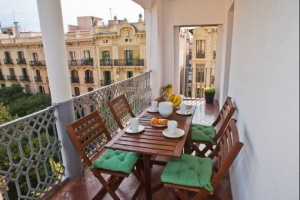 A great website for all of your holiday / vacation rentals is BCN rentals. If you want to be surrounded by some of the coolest tourist attractions, they’ve got it covered. If you are going with other people or other families, they offer several apartments in the same area so you can stay together. They also offer suggestions about the best things to do in the city during your stay! In my opinion, BCN Rentals is a great way to find good deals on vacation rentals of all kinds in the most vivid parts of the city! After you find a place to stay, see what pitches are near you and play football! In Barcelona it is extremity common to be living in an apartment. We at CeleBreak have many pitch locations all around Barcelona allowing you to find a game near you at dates and times you can choose from. Check out our app to see for yourself! 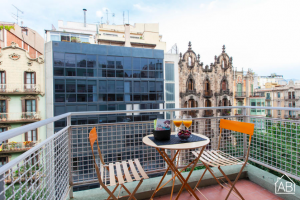 There are tons of websites to choose from when looking for the right apartment in Barcelona, ​​which is why we hope that this information helps you narrow down your search to find exactly what you are looking for. Hope to see you at one of our pitches!